This year I had the opportunity to work at an exciting new web startup, Sprouter. I learned a lot - the benefits of working with a small and tight-knit team; what's involved in the new role of Community Manager; and also that a "boardroom" can really just be a room with an Ikea table and a fridge. But most of all I learned about all the amazing web startups emerging in the thriving Toronto tech scene. You might be aware of some of these companies already, but some might be new - and may revolutionize the way you pay bills, consume the news, and much more. 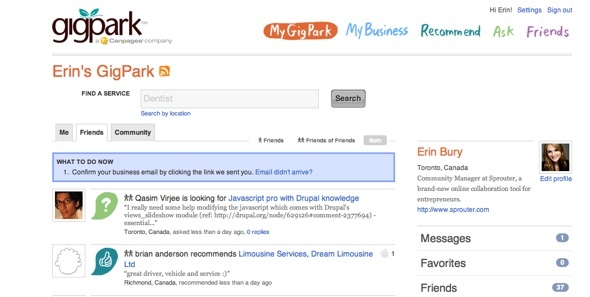 See below for my list of the Top 10 Toronto web startups of 2009. It has been a good year for backtype founders Christopher Golda and Mike Montano. Their startup, a real-time, conversational search engine, has gone from 60,000 unique visitors a month in November 2008 to over 1.5 million unique visitors a month in November 2009. They launched their backtype Connect feature in March, which shows all the conversation surrounding a post or article. To date they've served over one billion API requests - not too shabby. And now they're based in the Valley, the Mecca for tech startups. Not many startups can survive the wrath of a dragon. Let alone five of them - on the popular CBC show Dragons' Den, that is. But ScribbleLive founders Jonathan Keebler and Michael De Monte faced the Dragons and impressed them enough to secure a $250,000 deal (though the deal didn't go through after due diligence) . ScribbleLive is a live publishing platform - multiple authors can contribute content like text, photos and video in real-time to an event. With the addition this year of clients like Reuters, Hearst and Rogers, and a move to ScribbleLive Mobile in early 2010, it looks like ScribbleLive will continue to capitalize on the changing media landscape. Ever tried to find a good dentist, contractor, or any other service provider? If you're like me you only trust people recommended by friends or family. That's the premise behind GigPark - it's a recommendation tool that allows you to discover local businesses your friends use. In May they partnered with Metro Canada to introduce the Metro Readers Community. Then in August they were purchased by CanPages, the fastest growing local search and directories publisher in Canada. So next time you're looking for a plumber in a pinch you'll know where to ask for help. I get my news from a lot of sources - Twitter, newspapers, blogs, to name a few - and I often wonder what the most popular issues are across different platforms. Thoora is answering that question - it identifies the most interesting and talked-about stories from around the web by scanning blogs, Tweets, and over 5,000 traditional media sources. Funded by Rogers Ventures, Thoora unveiled its service at TechCrunch50 in September, and launched in public beta at BlogWorld Expo in October. Thoora has already generated a lot of buzz, so I'm excited to see what their plans are for 2010. Daily Challenge is a unique startup on this list - it's a web startup that's asking you to do good deeds offline in your daily lives. Started and self-funded by Darius Bashar and Afshin Mousavian Daily Challenge is a social network for do-gooders - they've inspired 35,000 acts of kindness so far in 2009 from members in over 160 countries. This year they held the first Pay It Backward Day in April. 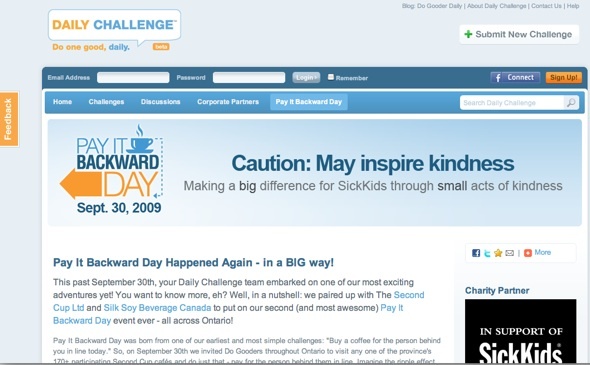 The second event in September had over 173 participating Second Cup locations, over 20,000 participants, and raised over $15,000 for Sick Kids Hospital. Whenever I borrow money from someone I always wish I could beam it back to them - after all, who carries cash these days? 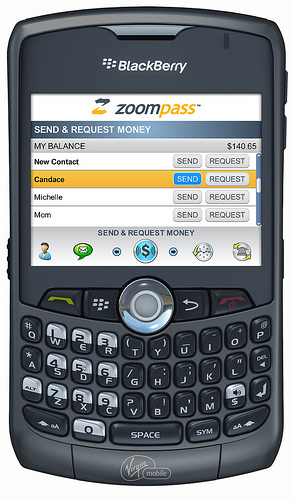 So I was excited when I heard about Zoompass, Canada's first mobile payment service. Zoompass was launched by Enstream on June 15th of this year, with Blackberry, iPhone and Android applications following shortly thereafter. It allows you to send and receive money from your mobile phone in seconds. And as for how easy it is to use? I was Zoomed money for a Timbit - and it worked like a charm. The company is currently in its beta stages - but I'm assured there are big plans for 2010. The one thing you don't really have at a startup is an official performance review. But one Toronto startup is helping people get feedback - whether at work, after a presentation, or on a project - anonymously. 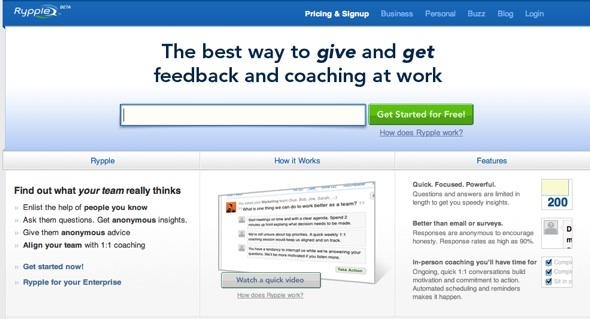 Rypple is billed as the best way to give and get coaching at work - and this year it generated a lot of international press, from ReadWriteWeb to BusinessWeek. The company signed new clients included Mozilla, launched their TouchBase feature and a new homepage - and added a buzz section to hold all their press and comments from supporters like Don Tapscott. They were also nominated for CIX's Top 20 Innovative Companies of 2009. I prefer any mode of communication over talking on the phone. The exception to this rule is when calling customer service departments - but the maze of automation can be hard to navigate. That's why I was so excited about Fonolo, a startup that uses Deep Dialing to allow consumers to skip past the phone menus of hundreds of companies. 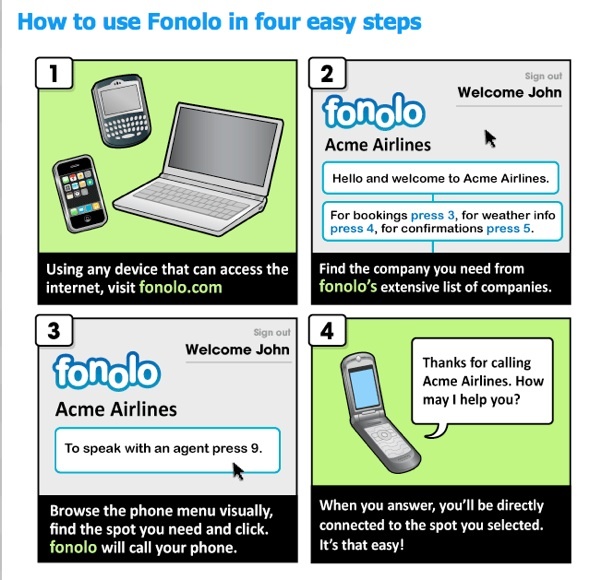 This year Fonolo launched their enterprise version to help companies improve their customer service experience. 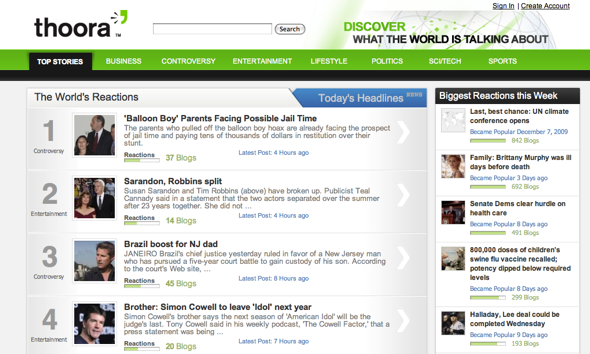 Also in August Fonolo was named one of Time Magazine's 50 Best Websites of 2009 ("Press one for English." Here's a better idea: use Fonolo), among other accolades. Every startup founder wants exposure for their company - how about presenting it in a TED talk? That's exactly what BumpTop founder Anand Agarawala did when he created the 3D desktop environment as his Masters Thesis. BumpTop launched the first version (both basic and Pro versions) on April 8 of this year, and the tour video has over 1 million views on YouTube. They launched multi-touch features on October 1, and the team is planning a Mac version and other features like an API in the near future. 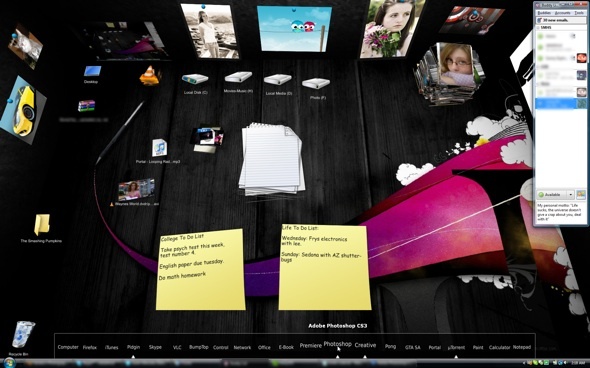 We already profiled one company that's capitalizing on the intersection of real-time web and the media. 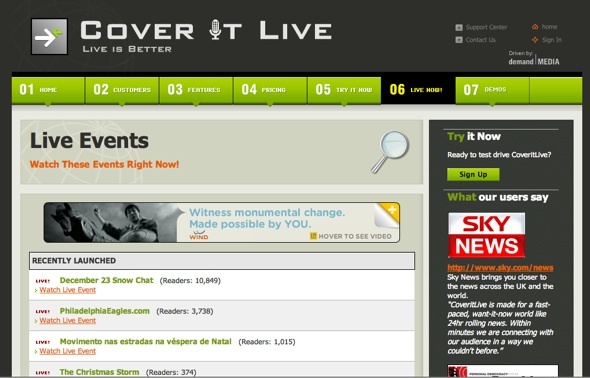 CoverItLive is another Toronto-based startup that's working with companies like Fox, Washington Post and Yahoo to enable live event coverage. In August of this year Demand Media became a strategic investor in the company, and opened up its services to their clients like USA Today and the NFL. The company powers more than 100 million monthly viewership minutes, and on December 10 had a whopping nine million page views. They're also currently beta testing their new live video feature - and pondering revenue streams. There are a ton of innovative web startups in Toronto - these are just a few who had milestone years or launched to the public for the first time. Feel free to leave your recommendations and favourite startups in the comments!